The Tamil Nadu government has declared a seven-day mourning. Schools and colleges in the state will be closed for three days. Tamil Nadu Chief Minister Jayalalithaa, passed away last night in Chennai after she suffered a cardiac arrest. Her mortal remains were placed at the Rajaji hall in Chennai for public homage. Senior party leader and Jaya’s close aide O Panneerselvam was sworn in as the new Chief Minister, shortly after 1am on Tuesday. -Jayalalithaa was buried with full military honours at Marina beach in Chennai next to her mentor MGR’s memorial site. -Prime Minister Narendra Modi reached Chennai and paid homage to the late Jayalalithaa. He was also seen consoling Jayalalithaa’s loyal aide Sasikala. Former Prime Minister Manmohan Singh also paid his last respects to Jayalalithaa at Rajaji hall in Chennai. 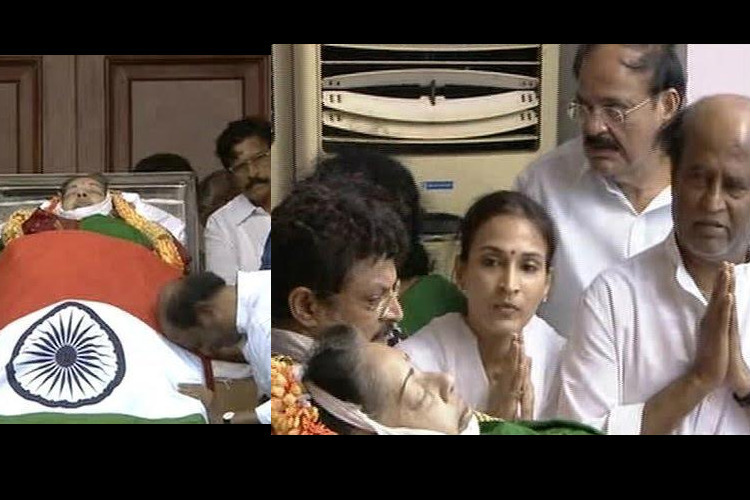 Superstar Rajnikanth was also seen paying tribute to Jayalalithaa along with his family members. 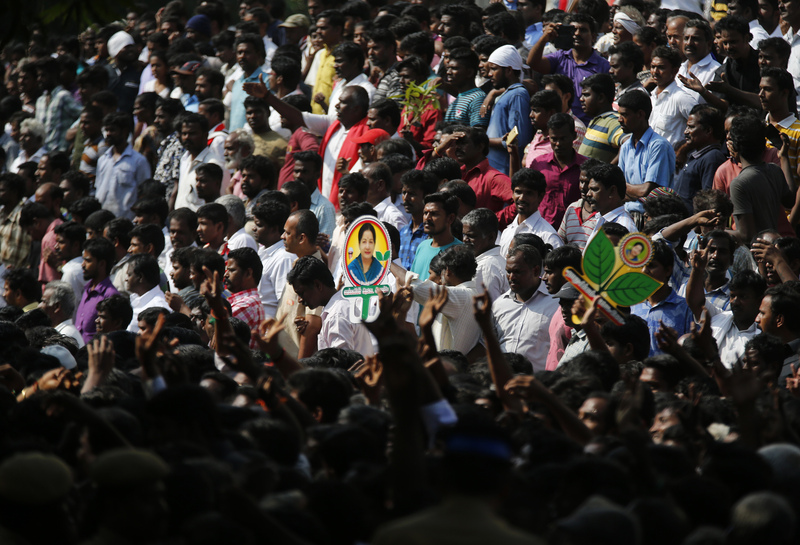 -Thousands of people have gathered outside Rajaji Hall in Chennai to mourn the late Tamil Nadu Chief Minister’s death. -The Puducherry government has also announced 3-day state mourning from today in the honour of Jayalalithaa. -Wailing Jayalalithaa supporters even went on shave their heads off to mourn her death. Her loyal understudy O Panneerselvam has been made the new chief minister of the state. The senior AIADMK leader took oath as the next CM of Tamil in the presence of Governor C Vidyasagar Rao following a 2-minute silence.